Coppertino Metallic 2019 Buick Encore Preferred FWD 6-Speed Automatic ECOTEC 1.4L I4 SMPI DOHC Turbocharged VVT The West Metro Volume Leader. 25/30 City/Highway MPG We are a local family owned dealership and pride ourselves on small community feel, making your vehicle buying experience as casual, fun and effortless as possible. Our online reputation speaks volumes of who we are. Thanks for looking. Ebony Twilight Metallic 2019 Buick Encore Preferred FWD 6-Speed Automatic ECOTEC 1.4L I4 SMPI DOHC Turbocharged VVT The West Metro Volume Leader. 25/30 City/Highway MPG We are a local family owned dealership and pride ourselves on small community feel, making your vehicle buying experience as casual, fun and effortless as possible. Our online reputation speaks volumes of who we are. Thanks for looking. Quicksilver Metallic 2019 Buick Encore Preferred FWD 6-Speed Automatic ECOTEC 1.4L I4 SMPI DOHC Turbocharged VVT The West Metro Volume Leader. 25/30 City/Highway MPG We are a local family owned dealership and pride ourselves on small community feel, making your vehicle buying experience as casual, fun and effortless as possible. Our online reputation speaks volumes of who we are. Thanks for looking. Red Metallic 2019 Buick Encore Preferred FWD 6-Speed Automatic ECOTEC 1.4L I4 SMPI DOHC Turbocharged VVT The West Metro Volume Leader. 25/30 City/Highway MPG We are a local family owned dealership and pride ourselves on small community feel, making your vehicle buying experience as casual, fun and effortless as possible. Our online reputation speaks volumes of who we are. Thanks for looking. Summit White 2019 Buick Encore Preferred FWD 6-Speed Automatic ECOTEC 1.4L I4 SMPI DOHC Turbocharged VVT The West Metro Volume Leader. 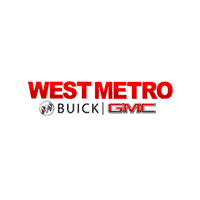 25/30 City/Highway MPG We are a local family owned dealership and pride ourselves on small community feel, making your vehicle buying experience as casual, fun and effortless as possible. Our online reputation speaks volumes of who we are. Thanks for looking. Satin Steel Gray Metallic 2019 Buick Encore Preferred FWD 6-Speed Automatic ECOTEC 1.4L I4 SMPI DOHC Turbocharged VVT The West Metro Volume Leader. 25/30 City/Highway MPG We are a local family owned dealership and pride ourselves on small community feel, making your vehicle buying experience as casual, fun and effortless as possible. Our online reputation speaks volumes of who we are. Thanks for looking.